Now happily settled with the Brown family and a popular member of the local community, Paddington picks up a series of odd jobs to buy the perfect present for his Aunt Lucy's 100th birthday, only for the gift to be stolen. A beloved literary figure leapt to the big screen via 2014’s Paddington, and our furry friend returns in 2018’s logically titled Paddington 2. During the first film, Paddington the bear (voiced by Ben Whishaw) emigrated from Peru to London and became a part of the human Brown family. At this point, Paddington finds himself well-established – and well-liked – in the community, so life seems good. Paddington wants to buy his ursine Aunt Lucy (Imelda Staunton) a present to celebrate her 100th birthday. Paddington locates an elaborate pop-up book he wants to get for Aunt Lucy, but someone steals it before he can raise the funds to purchase it. Along with adoptive parents Henry (Hugh Bonneville) and Mary (Sally Hawkins), Paddington attempts to find the thief and recover the book. If you look on this site, you’ll not find a review of the first Paddington - probably because I didn’t write one. The studio didn’t send me a copy and the film didn’t interest me enough to get one on my own, so there you go! As you probably figured, I did acquire a copy of Paddington 2, and I’m glad I did. A warm, witty affair, the movie offers a charming experience. Which seems like a minor miracle, as most fare of this sort veers firmly into Cloying Town. Couple that with cheap, puerile gags and you’d get the expected 21st century version of this story. Happily, Paddington 2 manages to stay on the right side of that line. While it brings nothing new or fresh to the table, it offers entertainment that manages to be inoffensive but not bland or dull. To be certain, a terrific cast helps. As our villain, Hugh Grant chews scenery with abandon and gives his role the right semi-campy attitude he needs. Packed with British stalwarts – many of whom will seem familiar to Harry Potter fans – the rest of the performers add to the experience as well. Heck, we ever get to see Sally Hawkins venture into the water again! No one will mistake Paddington 2 for an innovative movie, but it doesn’t need to do anything new. It boasts enough wit, charm and spirit to offer likable entertainment that should work for viewers of all ages. Paddington 2 appears in an aspect ratio of approximately 2.40:1 on this Blu-ray Disc. The film came with an appealing presentation. For the most part, sharpness worked fine. Some softness interfered at times – probably as a way to allow the CG Paddington to better integrate with the real-life elements – but the majority of the movie offered fine accuracy and delineation. Paddington 2 lacked jagged edges or moiré effects, and no edge haloes could be seen. The image also presented no print flaws. The movie’s palette opted for a heavy emphasis on teal and orange. As tiresome as these choices might be, the Blu-ray depicted them well, and it threw in a few extra hues as well, especially when we got pink tones at the prison. Blacks seemed dark and firm, while low-light shots provided smooth, clear elements. Outside of the occasional soft shot, this turned into a solid image. As for the film’s Dolby Atmos soundtrack, it offered occasional pleasures. Downconverted to Dolby TrueHD 7.1, the mix boasted good stereo presence to music as well as some effects. Much of the mix opted for general ambience, but a few scenes added life. The opening on a river brought out involving material and a few other action sequences delivered equally vivid sonics. Still, the track stayed with semi-low-key information much of the time, so don’t expect a consistently active track. Audio quality worked fine, with speech that appeared natural and distinctive, without edginess or other issues. Music sounded lush and full. Effects provides similarly rich material, as those elements seemed accurate and dynamic, with deep low-end as necessary. Again, this track lacked consistent vivacity, but it still seemed good enough for a “B”. We get a few extras here, and we start with an audio commentary from director/co-writer Paul King. He delivers a running, screen-specific look at story/characters and the adaptation of the source material, cast and performances, music, various effects, sets and locations, and related domains. From start to finish, King brings us a bright, engaging chat. He covers a nice array of topics and discusses them with verve in this solid commentary. A few featurettes follow, and we go to The Bear Truth. 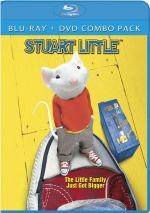 It fills five minutes, 20 seconds with notes from producer David Heyman, creator Michael Bond’s daughter Karen Jankel, Paddington stand-in Lauren Barrand, and actors Julie Walters, Hugh Bonneville, Hugh Grant, and Sally Hawkins. “Truth” looks at story/characters, cast and performances, and effects used to create the lead. The notes about challenges related to a CG character offer some useful material, but this usually remains a superficial piece. A tutorial called How to Make a Marmalade Sandwich lasts two minutes, 42 seconds and offers the lesson we expect. Some may find this fun, I guess. With The Magical Mystery of Paddington’s Pop-Up Book, we find a three-minute, three-second reel that involves King, Heyman, Grant, production designer Gary Williamson, VFX supervisor Glen Pratt, and actor Jim Broadbent. This show tells us a little about the CG creation of the movie’s pop-up book. It’s a pretty superficial reel. The Browns and Paddington: A Special Bond goes for five minutes, 43 seconds and includes info from Walters, Bonneville, Hawkins, King, and actors Madeleine Harris and Samuel Joslin. “Browns” looks at that family and the actors who play them. It turns into another mediocre program. A look at a secondary character, A Fistful of Marmalade takes up two minutes, 30 seconds and provides comments from Heyman, King, and actor Brendan Gleeson. “Fistful” brings some notes about the Knuckles character, and it winds up as a pretty forgettable affair. Lastly, The (Once) Famous Faces of Phoenix Buchanan spans three minutes, 45 seconds and brings thoughts from Grant, King, Harris, Joslin, hair/makeup designer Christine Blundell and costume designer Lindy Hemming. They discuss aspects of the Buchanan character. It’s a slight piece but it comes with a few fun insights. A music video for “Rain on the Roof” by “Phoenix Buchanan”. This simply offers a musical number done by Hugh Grant’s character. It’s nothing more than an excerpt from the movie’s end credits so it seems like an odd beast. The disc opens with ads for The Lego Ninjago Movie and Teen Titans Go! To the Movies. No trailer for Paddington 2 appears here. 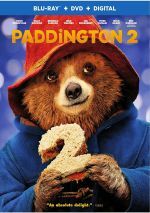 A second disc offers a DVD copy of Paddington 2. It includes “The Bear Truth” but none of the other extras. Nothing about Paddington 2 reinvents any wheels, but the movie executes its material so well that it doesn’t matter. Charming without being cheesy, the film delivers a winning family experience. The Blu-ray offers very good picture and audio along with supplements highlighted by a strong commentary. Paddington 2 overcomes potential pitfalls and turns into a likable tale.